Well we have entered the book of Nehemiah, apparently many scholars believe Ezra and Nehemiah were once part of one narrative. I barely noticed when Ezra ended and Nehemiah began so I would tend to agree with these scholars. I am reflecting and praying about this post as I take my dog for a much needed romp in the snow through a forest of trees with only my headlamp for light. The beginning of Nehemiah describes a man of God, Nehemiah, travelling to Jerusalem with the blessing and protection of the Babylonian king. Nehemiah had heard about the challenges that the exiles were facing trying to rebuild the city of David and the temple so he asked to be allowed to go and help oversee the rebuilding of the temple and the city that was started under the leadership of Ezra. Nehemiah sets out at night “with a few others” to investigate the city and it’s walls. 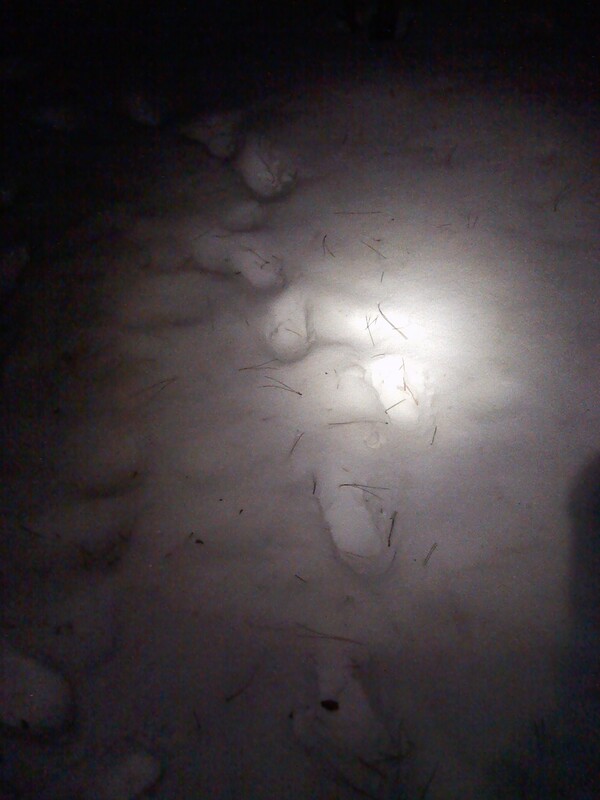 He probably did not have much more light than I have on my adventure through the snowy Michigan woods, but while I was out for a recreational romp with my pup Nehemiah was romping with a purpose. He was evaluating the state of the people and the rebuilding process — in both a physical and spiritual sense. He was engaged in a somewhat stealthy investigation to check up on what the exiles had accomplished in rebuilding the city and their relationship with God. Why did Nehemiah feel the need to go at night? Was it to avoid being seen, or to see things that were better seen at night? I think it was mainly the former. I think Nehemiah wanted an unbiased assessment of how motivated and committed the Exiles were in the task that Ezra set before them. He was there to observe more than just which sticks and stones were in place and which were not. He was observing carefully to see where the hearts and souls of the exiles were as well. I wonder if he was going at night, and incognito, so that he could get a picture of the exile community without any pretend piety which they might put on in response to someone from the priesthood arriving. Wouldn’t it be interesting to have stealthy observers like Nehemiah come visit our churches and Christian communities. What would they observe about the state of our hearts and souls? I think perhaps we would learn things that might surprise us — but the things that we learned would also likely make us stronger and better able to build healthy relationships and communities of believers. I am intrigued by the mention of Nehemiah taking along a few people with him. This would provide accountability for his observations and the actions that he will take based on what he saw. I think it is wise of him to take others along when he is trying to discern God’s will as it relates to a group of His followers. It is so easy to be wrong about such things and for our own feelings and emotions to get in the way. Prayer: God send stealthy observers into our Christian communities so that we can learn from them how to be better builders and faithful followers. This entry was posted in Christian Community, Christian Leadership, Christianity, Discernment, Faith, Following God, Life Together, Nehemiah, Obedience, religion, Trusting God and tagged bible, bible study, Christianity, Daily devotional, faith, water, well. Bookmark the permalink.